B.I.R.D. 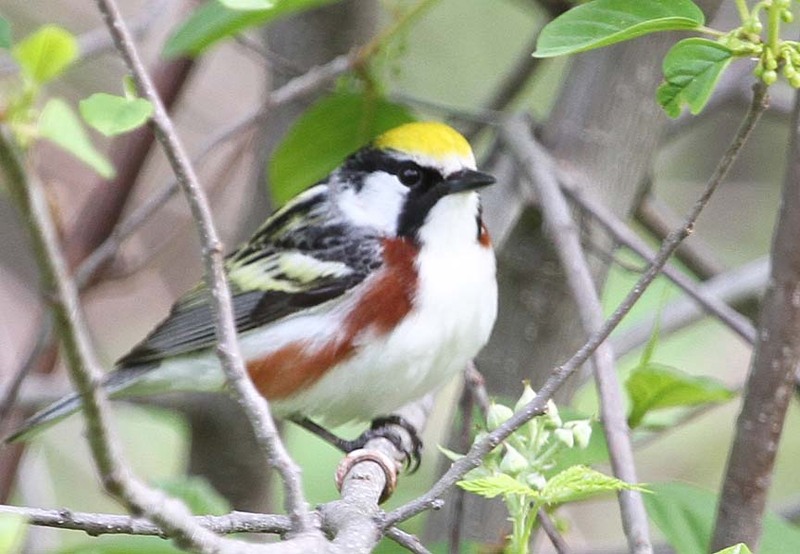 : Wonderful Warblers - and How They Got their Names! 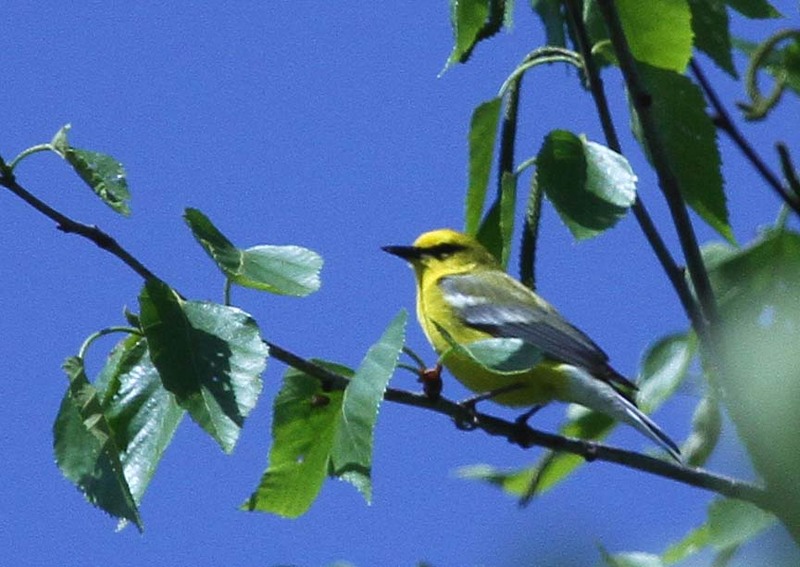 Wonderful Warblers - and How They Got their Names! This isn't a picture of the Yellow-rumped Warbler's rump, it's a picture of the undertail coverts which are white. 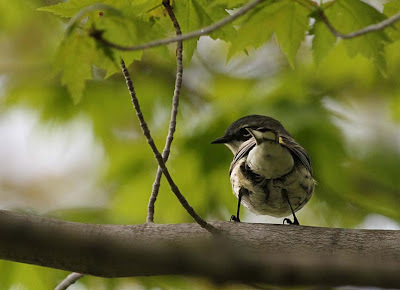 When I decided to blog about how warblers got their names, I found that Gerry didn't get a shot of the Yellow-rumped Warbler's rump, but I included the bird anyway. Take my word for it, it's yellow. 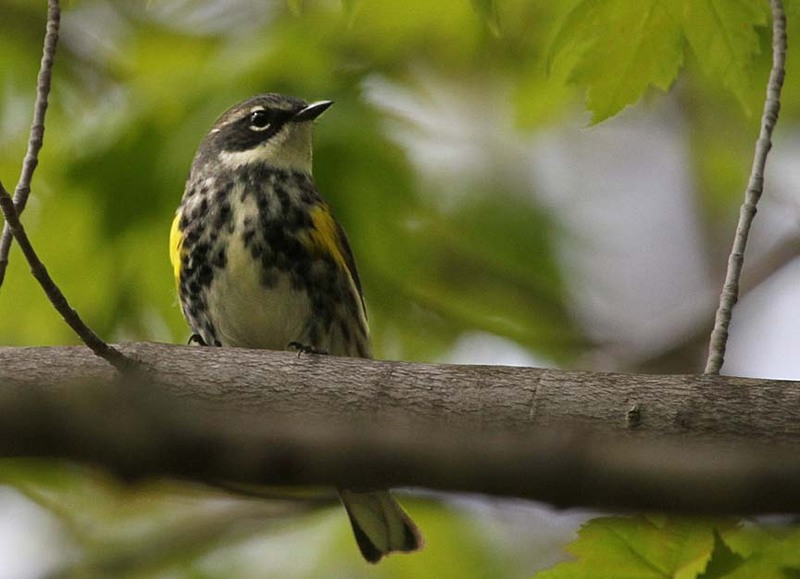 There are two subspecies of the Yellow-rumped Warbler. Our eastern variety, the Myrtle, has a white throat whereas the western one, Audubon's, has a yellow throat. They both have yellow rumps; some birders call them "butter butts". The Yellow Warbler IS yellow; there are no wing bars, no eye rings or head streaking. 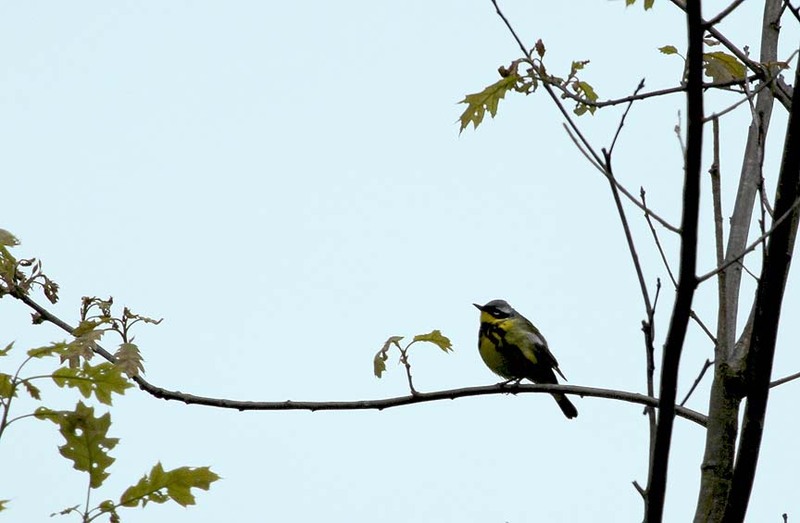 They are uniformly yellow; the males are egg-yolk yellow with reddish streaks on their chests. The Chestnut-sided Warbler male is a well-named warbler for he does have chestnut-colored sides but the females and fall males do not. 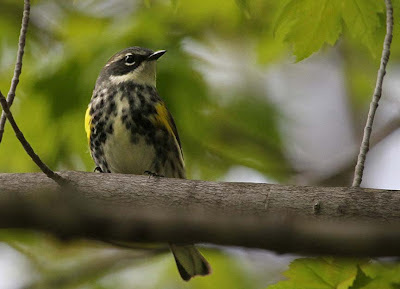 This warbler was virtually unreported during the time of Audubon and other early American naturalists, but has increased greatly in numbers since the clearing of eastern forests in the 1800’s. 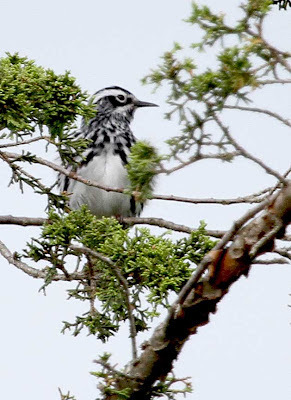 This is a bird of second growth, scrub and disturbed woodlands throughout its breeding range in North America. While the Blue-winged Warbler doesn't have sky blue wings (from a distance the wings look gray), in fact upon closer inspection they are slate-blue, with a tail to match. This beautiful warbler with the black necklace was first discovered in magnolia trees in the 19th century by famed ornithologist Alexander Wilson while in Mississippi, thus its name. 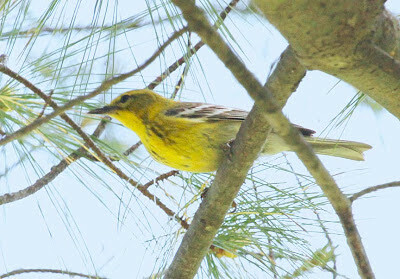 Although Alexander Wilson did call it a Black-and-yellow Warbler, its Latin name is Dendroica magnolia, so Magnolia Warbler stuck. 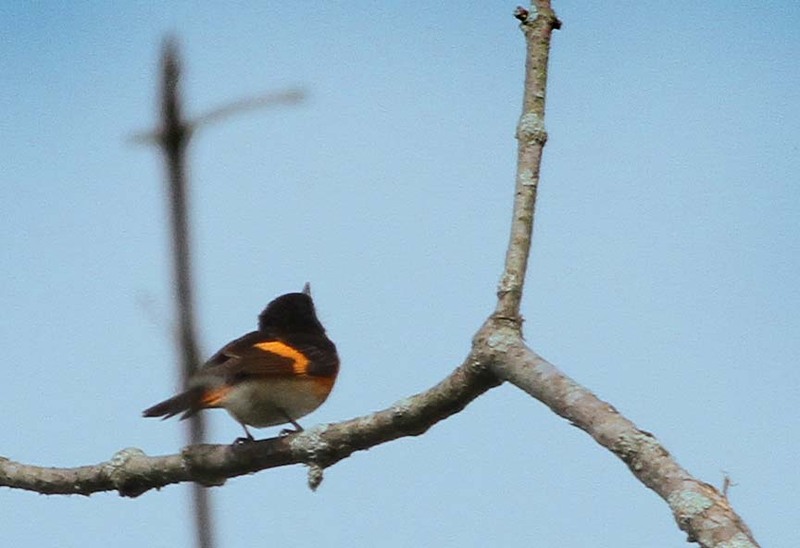 The American Redstart got its name from the red patches on his tail and "start" comes from Middle English stert for tail. The intensity of the reddish-orange patches in the tail, wings and sides of the breast can vary. Gerry says it should be called the American Orange-start. True to his name, the Pine Warbler is found in pine trees! This species only nests in pine forests, and is almost never found in deciduous forests except during migration. The Pine Warbler is the only warbler that eats large quantities of seeds, primarily those of pines. Truly living up to his name. 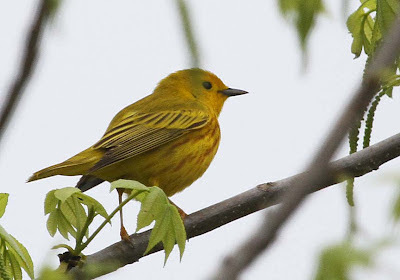 The prairie warbler got its name in 1810 in south-central Kentucky when ornithologist Alexander Wilson first encountered the bird in scrubby habitat that today, we call a barrens. In 1810, these savanna-like barrens with scattered trees and a brushy understory were called prairies. 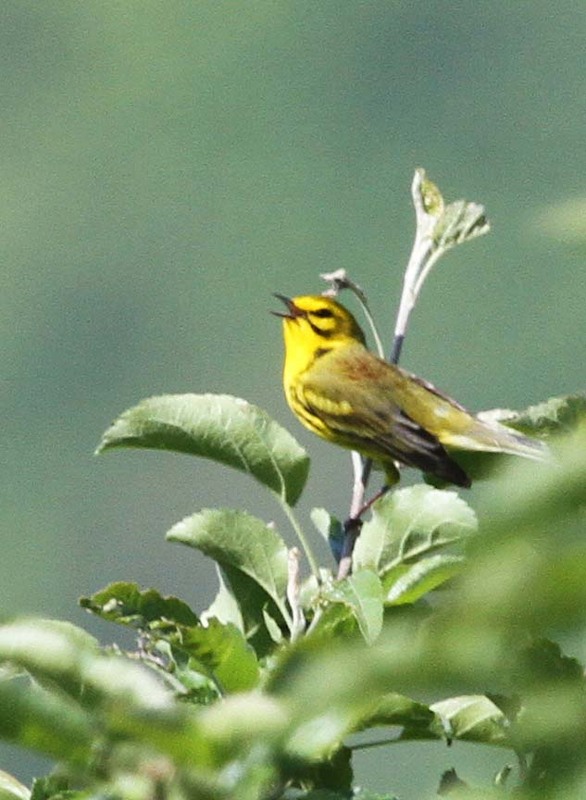 Today you'll find a Prairie Warbler in shrubby fields, early regenerating forests, and other successional habitats, like power-line clearings and christmas tree farms. I think the Common Yellowthroat should have been named the Masked Warbler! Sure both sexes have yellow throats but so do other warblers and there is a Yellow-throated Warbler already.........well no one asked me! 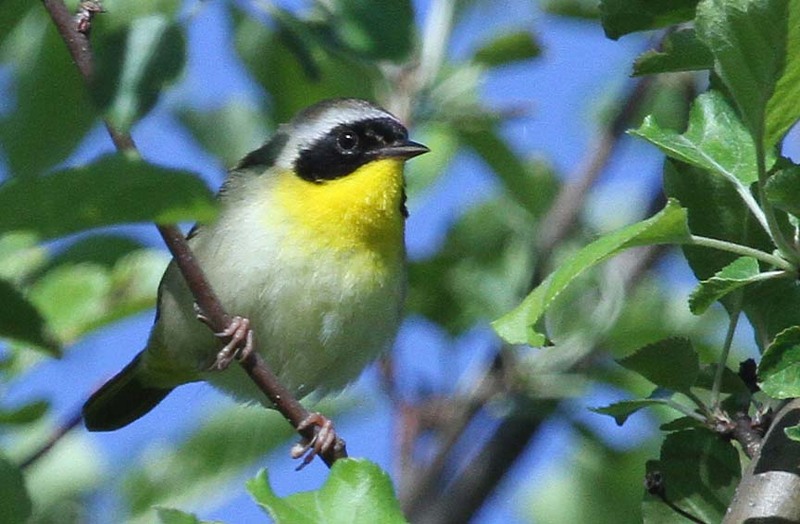 The Common Yellowthroat is common though, probably the most widespread warbler in North America. A recent study showed that males with large black masks were more likely to win mates than males with small black masks. I guess size does matter...............in the bird world. Wow, this is loaded with great images, and Warblers don't make it easy for a photographer either! This was a very informative post. I often wonder about different bird names and you've really helped these explanations, though I, like you, am also stumped be the lack of creativity in naming the Common Yellowthroat. Love your blog. Now one of my favorites. Loved your blog and your photos. And I agree on the naming of the Common Yellowthroat!